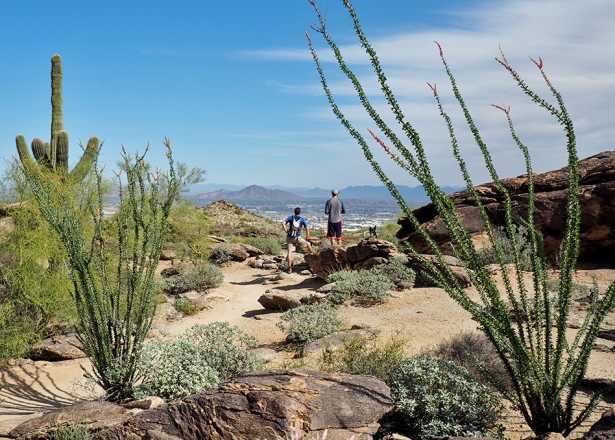 Living in Phoenix guarantees many things: Endless days of sunshine. A show-stopping monsoon season. The occasional run-in with a rattlesnake (yeah, it happens). But when it comes to tacos, one thing is guaranteed: A good one is just a stone’s throw away from wherever you are in the city. With that kind of density, it may be hard to choose. Taking the “less is more” concept to a whole new level is Sonora Taco Shop. Mere minutes from downtown, this cozy, brick-front eatery offers a no-frills, simple-yet-oh-so-satisfying menu of tacos (and other delicacies), made with your choice of carne asada, chicken, or al pastor. If it’s meat you’re looking for, go for the asada. Charcoal-grilled to perfection, the meat is served hot off the grill in either a flour or corn tortilla. Wash it down with a Mexican Coke, and call it a day. Inspired by a variety of different Mexican cultures—Spanish, Aztec and Mayan, to name a few—La Santisima takes you on a regional tasting tour of Mexico with (what else?) tacos. Owners Felipe and Cristina Guzman draw from family recipes to create a menu of gourmet offerings that include the Cabo shrimp taco, the Aztec tinga taco, and their specialty, the Mayan cochinita pibil taco, made with roasted pork shoulder wrapped in banana leaves. 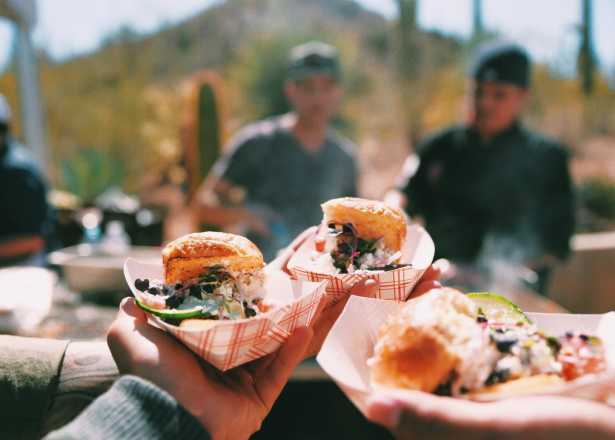 Part food truck, part restaurant, La Frontera serves some of the best tacos in town out of stationary food trucks set up at locations in central Phoenix and west Phoenix. True to the late-night crowd, walk right up to the window and order a heaping plate of tacos made with fillings that range from carne asada and carnitas, to el pastor and lengua, to everything in between. Then pull up a seat at one of the covered picnic tables and enjoy an experience that’s as street food as street food gets. It may be known as the taqueria with the funny name, but for owners Armando Hernandez and Nadia Holguin, Tacos Chiwas pays homage to their childhoods growing up in Chihuahua, Mexico. Using family recipes, everything here is made from scratch, from the fresh, hand-pressed tortillas to the carnitas that are marinated overnight and smoked rather than cooked in lard. For a true taste of Chihuahua, try the Taco Chiwa, made with beef, ham, jalapeno, Anaheim chiles and cheese; or the calabacitas, filled with Mexican squash, corn, white onion and asadero cheese. While it may be tempting to order Chef Silvana Salcido Esparza’s signature Chiles en Nogada, her tacos alone are definitely worth a trip to one of Phoenix’s most iconic restaurants. The camaron (shrimp) and pescado (fish) are both Tecate beer-battered, served with shredded cabbage, avocado slices, and a Baja aioli. For meat lovers, the carne asada is made with grilled tenderloin steak, while the cochinita pibil, Chef Silvana’s acclaimed pork, is marinated in achiote and sour orange, and slow roasted overnight in banana leaves. A throwback to ’80s-era Phoenix, Pepe’s Taco Villa in west Phoenix has stood the test of time in a dining landscape overflowing with eateries claiming the latest-and-greatest tacos. Tacos come crispy or soft, filled with the traditional offerings of chicken, shrimp, pork carnitas, carne asada and barbacoa. But for one-of-a-kind tacos, try the Monterrey filled with machacado (dried beef), scrambled egg, chile, tomato and onions; or the Siberia, made with chicken, guacamole and sour cream. Taco connoisseurs may know this little west side hole-in-the-wall as Tacos Atoyac. Originally opened in 2010 in Glendale, the restaurant quickly gained a loyal following for its authentic selection of tacos, tamales and quesadillas. Despite the restaurant’s success, however, a change in ownership forced it to close in 2014. But after a month, it quickly reopened as Restaurant Atoyac, resulting in collective sigh of relief from local taco lovers, who swear by such offerings as the carne asada (prepared al pastor), beef tongue, tripe, beef, chicken, fish and shrimp. In Mexico, Oaxaca is known for its mole, and Jalisco for birria, a spicy beef stew. But when it comes to meat, Sonora is the place to be. Slinging Sonoran-style tacos stuffed with heaping helpings of carne asada is Ta’Carbon. Opt for the traditional taco, or treat yourself to one of their specialty tacos. The Taco Hazz features steak, green chile and melted cheese; while the Lorenza is served on a crispy corn tortilla with red chile, cheese and beef. Taking tacos to a whole new level is chef Richard Hinojosa of CRUjiente Tacos in Arcadia, where he is pushing culinary boundaries, and creating new and inventive versions no one else is doing. While beef, pork and lamb (elevated, of course) are clean and simple staples on the menu, it’s offerings like the Texas wagyu cap steak, Korean fried chicken, and grilled summer squash that are really turning heads. There’s even a dessert taco, a perfect ending to a perfect meal. 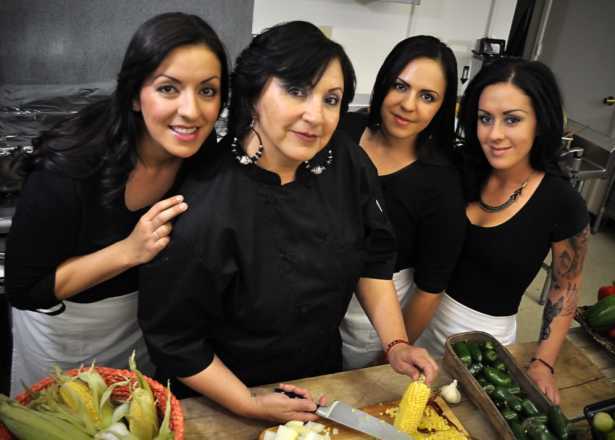 Started by the Ochoa sisters—all five of them—Los Taquitos pays tribute to their mother’s recipes for authentic Mexican cuisine. Using only fresh ingredients, dishes include handmade burritos, tostadas, quesadillas, enchiladas and, of course, tacos. 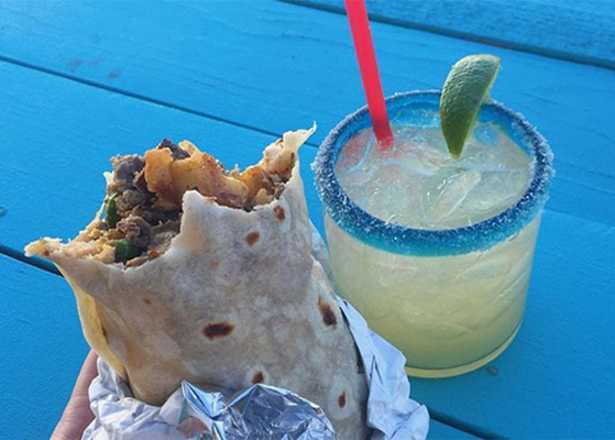 Featured on the Food Network’s “Diners, Drive-Ins, and Dives” and “Guy’s Big Bite,” the restaurant is no stranger to being recognized for making a darn, good taco. Choose from the asada, carnitas, chicken, pastor, lengua, fish, shrimp and veggie. You’ve been out on the town and the evening is slowly winding down. As last call nears, hunger pangs begin to set in: It’s taco time. But not any taco, mind you. Only a taco from Taqueria Los Yaquis will do—the long, snaking line to the order window is a telltale sign. Run out of a large food trailer parked outside Charlie’s bar in midtown, the restaurant serves carne asada and chicken tacos with a splash of salsa and avocado sauce. ’Nuff said. Meat lovers, rejoice! Asadero Toro, just a stone’s throw from the Arizona State Fairgrounds, offers meat, meat and more meat—so much so, you’ll start to believe there’s no other way to eat a taco. You name it, they’ve got it: grilled steak (asada), barbacoa (shredded beef), lengua (tongue), cabeza (cow head), chicken and tripe—all served on flour tortillas made by hand. Wash it down with a horchata or Mexican soda for a refreshing finishing touch. For a refreshing take on tacos, make your way to Mariscos Ensenada, a mecca, if you will, of all things Mexican seafood. Decked out in cheerful, nautical-inspired décor complete with blue-and-white checkered floor and marlins hanging on the walls, Mariscos has four Phoenix locations, spreading the seafood love throughout the city. For the ultimate seafood taco, try the shrimp gobernador, bursting with shrimp, bell peppers, tomato sauce and cheese. Perfecting the art of al pastor is Tacos Huicho, a small taco shop and carniceria in Phoenix’s bustling medical center area. For taco newbies, al pastor is thin slices of pork shaved from tower of layered meat rotating on a spit. Tacos Huicho uses this traditional method—which is often long and laborious—in order to get mouthwatering meat that’s both caramelized and crispy. Served on warm tortillas and topped with onions and cilantro, it’s al pastor at its best. With a long and impressive career in Phoenix’s dining scene, Dan Maldonado knows a thing or two about what local diners want more of: tacos. That’s why, in 2014, he opened Mucho Macho Taco, a neighborhood spot in central Phoenix that serves his take on Mexican cuisine. There are about a dozen tacos on the menu, ranging from the familiar carne asada, al pastor and chicken; to more adventurous braised beef, grilled mahi, and grilled vegetable and hummus. Before there were the build-your-own, fast-casual Mexican eateries that now pervade nearly every corner and strip mall in Phoenix, there was Asadero Norte de Senora. Specializing in Sonoran cuisine, the restaurant charcoal-grills its meats, giving it that smoky flavor, and offers it up in tin-foil trays filled to the brim. Whether you prefer carne asada or barbacoa, among others, you serve yourself, building your own taco creations. Finish it off by tailor-making your tacos with tortillas, vegetables, beans and red salsa. If you like a little jam (the music kind, not the breakfast kind) served with your tacos, make your way to Cocina 10 inside the Crescent Ballroom in downtown Phoenix. The popular music venue not only showcases live music and entertainment, it serves a mean taco, as well. Mix and match different fillings, including beef, chicken, seafood and veggie. Served on homemade flour tortillas, these tacos are guaranteed to sing! 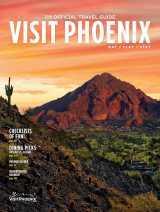 With its California-beach vibe, Joyride is the perfect sort of place you only hope to discover in the Arizona desert. 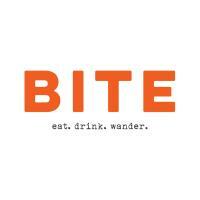 And while you may come for the great atmosphere and laidback feel, what you really in for are the tacos. Served family style, tacos range from carne asada and carnitas, to crispy fish and ahi tuna. If you’re really hungry, get the bandit taco platter, featuring tinga chicken, carne asada and carnitas, with tortillas, rice, black beans, avocado and pico gringo. If you’re at all familiar with Mexican restaurants in Phoenix, then you know about Carolina’s. Started by Manuel and Carolina Valenzuela in the 1950s, the Valley landmark has grown from the couple selling tortillas, burritos and tamales out of the back of their car, to a Valley icon that has won countless awards for their famous, handmade tortillas—the perfect vehicle for the restaurant’s delicious tacos, which include beef, machaca shredded beef and chicken. Housed inside the historic Bethel Methodist Church in central Phoenix, Taco Guild is perhaps one of the more unique taco spots in town. Built in 1893, the building is rich in history and is the perfect venue to showcase the restaurant’s Old World and New World tacos. For a taste of the Old World, try the al pastor pork or the coffee-braised beef. If New World is more your style, you can’t go wrong with the chipotle cherry steak or the Peking duck. 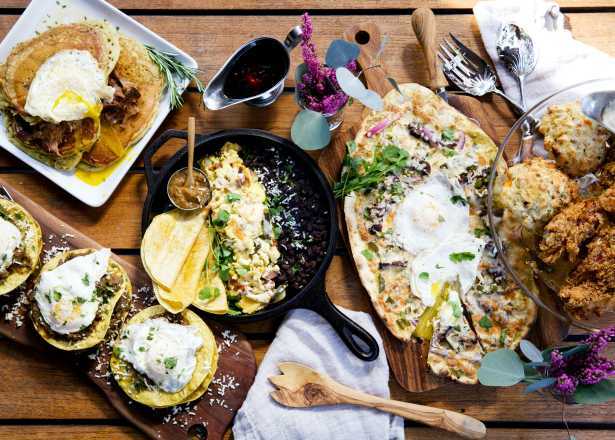 Designed for the well-heeled taco lover, Blanco Tacos is nestled comfortable in the tony Biltmore Fashion Park—giving shoppers a great place to refresh with a marg, tableside guac and a variety of satisfying tacos. From the grilled mahi to the crispy shrimp to the Baja chicken, the tacos are fun, fresh and oh-so tasty. And because you deserve it, indulge in an after-taco dessert, including brown sugar caramel flan or the tres leches cake. 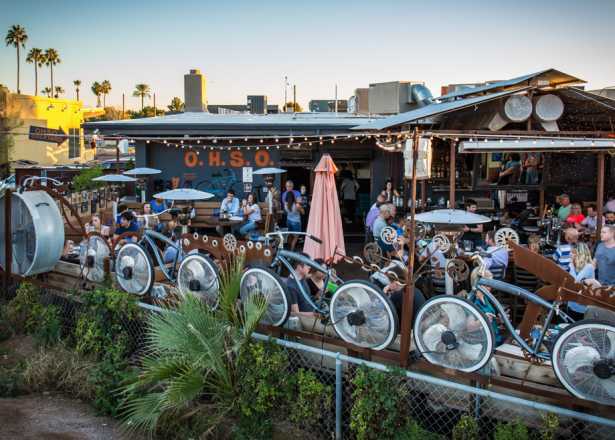 For tacos with an attitude, check out Chico Malo at CityScape in downtown Phoenix. Meaning “bad boy” in Spanish, Chico Malo is at once edgy and bold, boasting a South American-inspired menu showcasing fresh and local ingredients. Taco offerings include Diablo shrimp served with cabbage, avocado crèma and criolla salsa; al pastor made with marinated pork, pineapple, cotija cheese and pickled fresno chiles; and crispy avocado, featuring corn fondue, pickled cabbage, radish, cucumber salsa and cotija. This north central neighborhood spot is the place for locals to enjoy tasty tacos on an expansive outdoor patio under the dreamy glow of strung lights and chandeliers. On the menu, the taco offerings lean towards the traditional, but are amped up with such modern touches as the pineapple slaw served with the al pastor tacos, and a tomatillo avocado salsa on the shrimp tacos. And because tacos go down best with a cool drink, the cocktail menu gives you plenty of refreshing options. While hot dogs and chicken wings may be staples for the downtown sports fan, tacos now have a place in the spotlight thanks to Willie’s Taco Joint. Conveniently located between Chase Field and Talking Stick Resort Arena, the taco spot is the perfect place to grab a cold beer and a tasty taco before or after the big game. The must-have taco at Willie’s is the Green Butcher, filled with tender green chile pork encased in a green chile tortilla with onion, queso fresco, cilantro and cabbage.